Former FDA Commissioner Dr. Robert Califf shares his views about drug approvals, regulations and safety concerns after stepping down from the giant agency. Dr. Robert Califf, who stepped down last month, shared his thoughts about keeping Americans safe—and making sure drugs actually work—after about a year overseeing the federal agency. Califf explained that the slow part of getting a drug into patients' hands happens well before the drugmaker submits an application to the FDA. It can take decades to discover, tweak and test a new drug molecule, and that development process is what needs a boost. “The real action (happens) before the application gets submitted, and that can be a time frame from years to decades as people try to figure out what will work and what will not,” Califf said. To begin with, it encourages the FDA to consider pieces of information in its approval process in addition to traditional clinical trials, including “real-world evidence” and biomarkers. Biomarkers are used in studies in place of outcomes that are more difficult to measure. For example, tumor shrinkage is sometimes a biomarker for surviving cancer. 3. But Califf has concerns about maintaining drug-safety standards and ensuring through clinical trials. About 92% of drugs that get into human clinical trials don't make it to market because they fail to show any benefit or, worse, they have unexpected toxicity, he said. Califf recently wrote for JAMA on the FDA's balancing act of protecting the public and encouraging innovation. And the FDA released a paper last month documenting examples of a promising drug, vaccine or device that each did well in a Phase 2 clinical trial but “bombed out” in Phase 3, Califf said. Drugs typically go through three “phases” of studies called clinical trials before gaining FDA approval. With each new phase, researchers test drugs or other products on more people and on more measures of safety and effectiveness. “It's 22 examples of why it's a big mistake to think that you can judge the balance of risk and benefit from a small amount of data,” Califf said. 4. Faster, better drugs can't be approved if the FDA is understaffed, he argued. Califf called a potential FDA hiring freeze “unfortunate” and said new staff is needed to meet the faster approval timelines and to give advice to those developing drugs so “bad mistakes” aren't made. 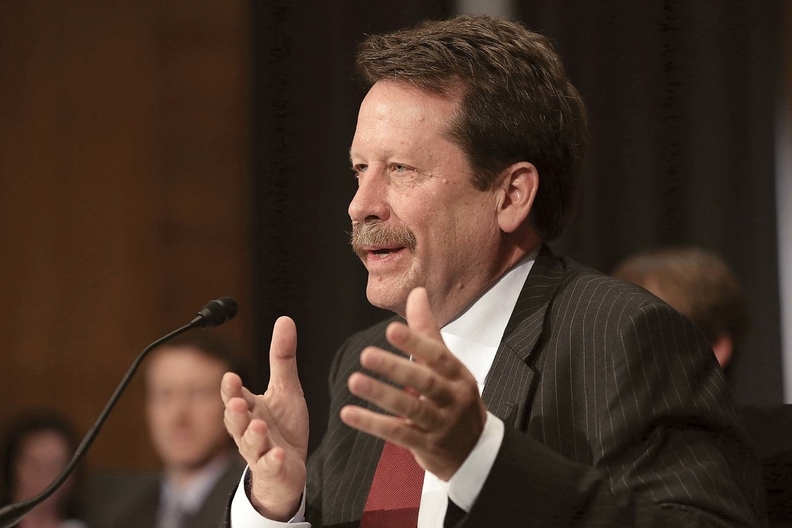 Califf said the drug industry's most valued interaction with the FDA is “during the process of (drug) development,” which begins before a drug application is submitted for approval. FDA staff can provide timely feedback and advice that can help a company choose the right studies needed for approval and, effectively, speed up drug development. 5. The FDA is using big data to track the safety of drugs already on the market - and it plans to do that a lot more. The FDA has an established adverse event database, but after pain reliever Vioxx was pulled from the market in 2004, the agency began working on a system called Sentinel. The initiative uses claims data to look at drug safety. It has 180 million individual electronic records and tracks every dispensed prescription, hospitalization, as well as serious outcomes, Califf said. In addition, Sentinel is now being opened up to industry and academia. Sydney Lupkin and Sarah Jane Tribble are reporters for Kaiser Health News, a not-for-profit health newsroom whose stories appear in news outlets nationwide. It is an editorially independent part of the Kaiser Family Foundation.